Despite decades of effort to create fair classrooms and schools, gender bias is alive and well, and in some ways growing. School practices continue to send boys and girls down different life paths, too often treating them not as different genders but as different species. Teachers and parents often miss the subtle signs of sexism in classrooms. Through firsthand observations and up-to-the-minute research, Still Failing at Fairness brings the gender issue into focus. The authors provide an in-depth account of how girls' and boys' educations are compromised from elementary school through college, and offer practical advice for teachers and parents who want to make a positive difference. The authors examine today's pressing issues -- the lack of enforcement for Title IX, the impact of the backlash against gender equity, the much-hyped "boys' crisis," hardwired brain differences, and the recent growth of singlesex public schools. This book documents how teaching, current testing practices, and subtle cultural attitudes continue to short-circuit both girls and boys of every race, social class, and ethnicity. 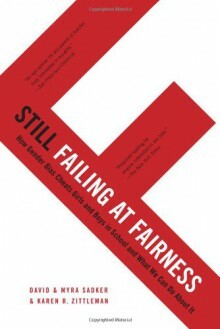 Hard-hitting and remarkably informative, Still Failing at Fairness is "a fascinating look into America's classrooms" (National Association of School Psychologists).